Charleston's ocean waters provide some of the best seafood available anywhere in the world. From succulent, tender shrimp to world-class tuna, mahi-mahi, grouper, red snapper, flounder and much more. 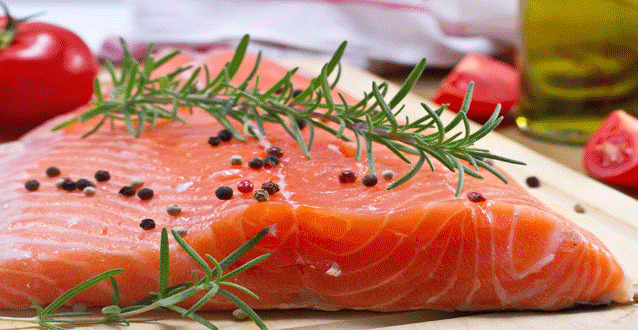 Shop from over 30 fresh fish varieties. Our fish is shipped to you fresh – not frozen! To ensure maximum freshness, your fillets are cut just before shipping then we label and vacuum seal your order. Best Sellers include salmon, grouper, halibut, sea bass, mahi mahi, swordfish, red snapper, sashimi tuna, trout, flounder and many more. 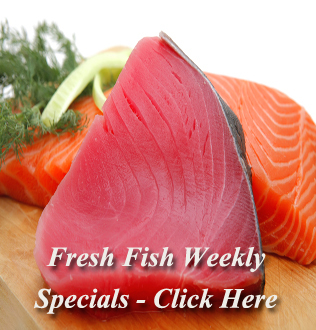 Shop our online fresh fish and seafood store! We provide fresh local shrimp, rock shrimp, and our convenient peeled and deveined shrimp. We partner with local shrimp boats, the “Miss Paula” and "Carolina Breeze”. Our World Class shrimp will certainly be a hit at your next party! 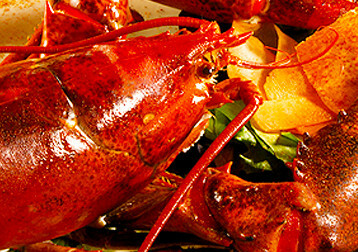 Our tasty Maine Lobsters are delivered live! We also offer cold water lobster tails, lobster meat, lobster bake and our popular Surf & Turf. Shop our lobster gifts and combo packs which include Lobster Party, scallops and lobster, shrimp and lobster, and our Bestselling crab cakes and lobster tail combo. We have combined many of Charleston Seafood's Best-Sellers into combo packs in every price range. Choose your desired combo pack (40 to choose from) then press the "add to cart" button. Each seafood combo pack arrives with a personalized gift letter. The shellfish variety at Charleston Seafood can't be beat! Our king crab, snow crab, scallops, littleneck clams, oysters, mussels, crab cakes and conch are Bestsellers. We also offer bacon wrapped scallops, blue crab meat, shucked oysters, crawfish, crab roe and our snow crab cocktail claws are sure to be a hit! Charleston Seafood is known for hard to find specialty seafood products. We offer alligator tail meat & sausage, octopus, calamari, escargot, frog legs, caviar and smoked salmon, scallops, shrimp and mussels. Shop our specialty store today! We have everything you need including our crab cake and cocktail sauce, oyster knives, cookbooks and much more! Gift Certifcates available in any dollar amount. Everybody loves a Charleston Seafood Gift Certificate! Tender and delicate flavors for you! "We cannot believe how spoiled we have gotten with your fresh seafood. When we go to a restaurant now (we travel a lot) we avoid ordering seafood! We have found ourselves staying home and looking forward to creating wonderful dishes with our weekly order." Charleston Seafood is America's #1 online seafood store! We deliver fresh fish and seafood to all 50 states. We offer weekly specials, fish and shellfish recipes, seafood preparation and cooking tips, gourmet gift baskets, gift certificates, and so much more. You can choose from over 30 fresh fish varieties. These include: salmon, grouper, halibut, sea bass, mahi mahi, swordfish, red snapper, tilapia, monkfish, sashimi tuna, trout, catfish, wahoo, flounder, and many more. We offer wild caught fresh shrimp, rock shrimp, and our convenient peeled and deveined shrimp. Our shellfish include: live Maine lobster, lobster tails, king crab legs, crab meat, crab cakes, oysters, mussels, clams, caviar, calamari, conch, and several others. We also carry hard to find specialty gourmet seafood items. Welcome to our online fish and seafood store! Grouper Cheeks are considered to be a delicacy in many parts of the world. These tasty, tender fillets range from 1 1/2 - 3" in diameter and can be used in a variety of recipes. Shipped frozen, limited availability. Each 2 lb package contains approximately 15 cheeks. Our crab stuffed mushrooms are rich, cheesy and insanely addictive! These party-ready treats are sure to be the hit of your next gathering. 2 oz each! Shipped frozen. You will receive 2.5 lbs of 5 - 8 inch tubes. Ready to prepare - shipped frozen. Halibut is one of the tastiest fish we offer! 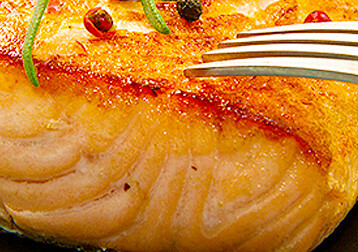 A mild, moist, firm white fish that can be grilled, baked, or broiled. Treat yourself to a truly special dish! Serves four to five people.